Dyed? Well…tinted. 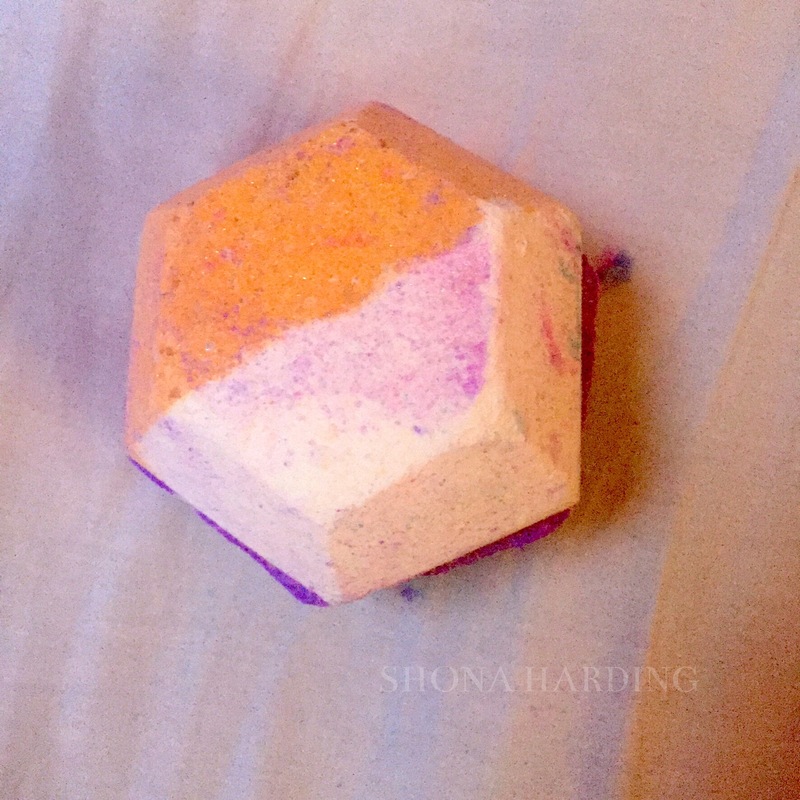 A few days ago I posted a blog post on the new Lush products and in that included The Experimenter. This fun, new bath bomb has been plastered on almost every YouTube beauty channel and blog I could find! Everyone seemed to love it and so when I saw it at my local Lush store I had to pick it up and try it for myself. 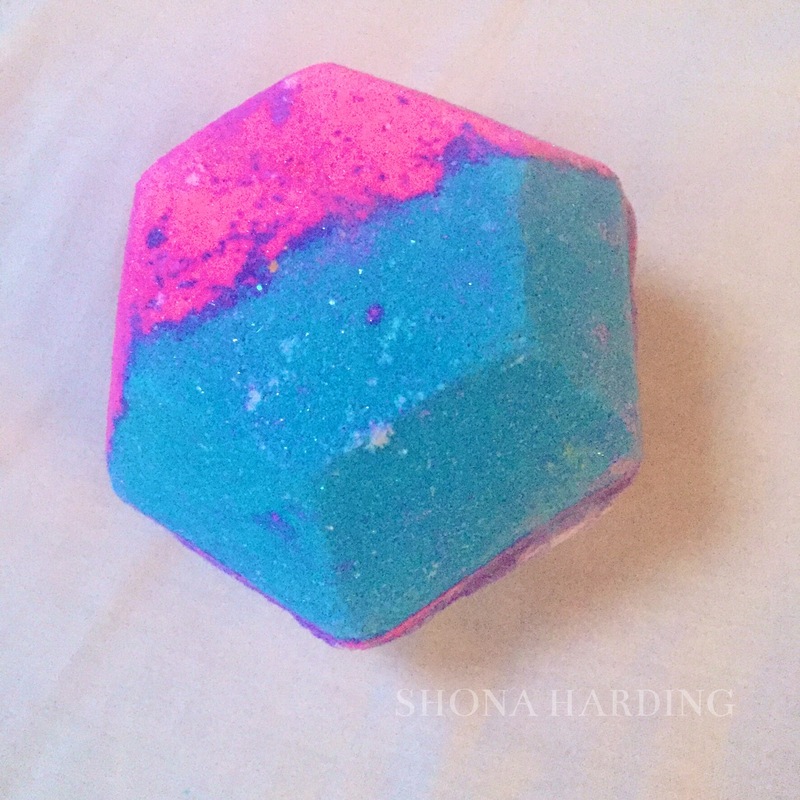 I dropped this in my bath and did love the colours in it. When I was in the bath though (hopefully this part won’t be weird haha) I have my hair under the water a lot, especially as my head can get kind of cold (oh dear…). Anyway, I looked in the mirror when I got out the bath and noticed my hair when it was wet looked darker than it normally does. 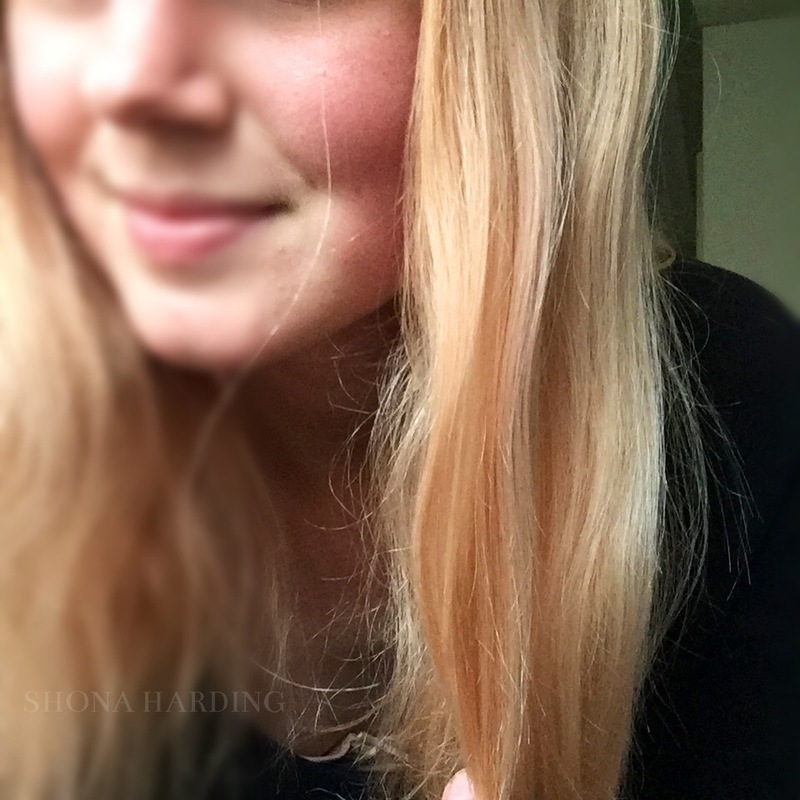 My hair is dyed the colour Ultra Light Champagne Blonde (10CB) in the Nice ‘n Easy range (love their hair dyes!) and so as it’s usually quite light when my hair’s wet it goes more of a caramel colour than a dark colour. This was not the case that day. 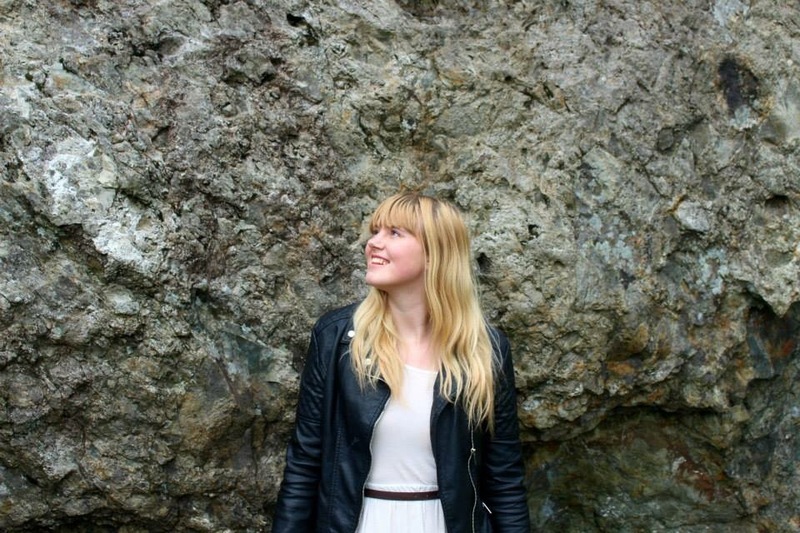 I let my hair dry naturally that day because I was lazy and when I went to work the next day I felt something was off with the colour of my hair. When I got there a boy I know commented that he liked the pink in my hair. I was shocked! I snap chatted my friends asking them whether they could see pink in my hair and they all agreed! Two more people commented the same day saying how they liked the pinkiness in my hair! Now, the reason I am putting the blame on the bath bomb is because this is the only difference I made to my hair care that day. I always use the Phil Smith bomb shell shampoo and conditioner for blonde hair because I’d hate my hair to go brassy/yellow! Above is my normal hair colour and below I will put what happened after my bath. 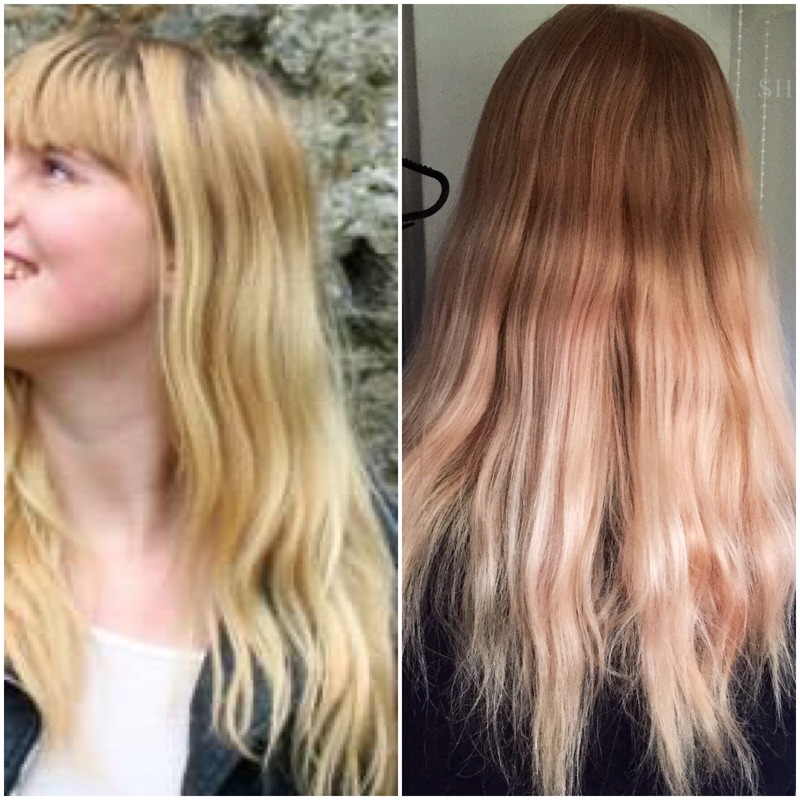 Now there isn’t a lot of difference but when you have tried to be blonde for over a year you can easily spot it. This is two of the photos side by side. Let me know what you think. Obliviously I’m only putting this out there so if this happens to anyone else or anything they will know it’s not just a one off. This doesn’t mean I won’t stop buying from Lush either but I just thought I’d let people know. It’s just happened to me too! Not impressed at all. I’ve complained to lush today and sent photos. It’s still pink after I’ve washed it. They’ve offered me some products to help wash it out and advice. Their colours are food/water based so discolouration should be temporary. I sent them a link to your blog too so they know I’m not the only one! This happened to me today and I’m pissed! They gave me the same canned response and are sending me their shampoo. 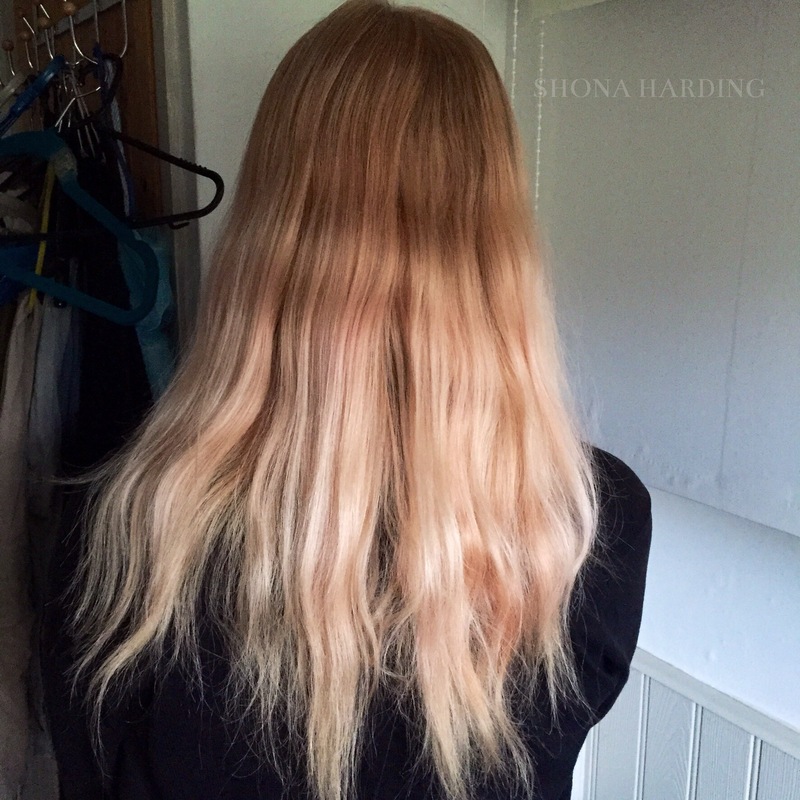 How long did it take for the pink to come out of your hair? It took 2-3 washes using just normal shampoo and conditioner. I find it mad that they’re still selling this product even though it’s happened to quite a few people! It took about 3-5 washes for it to fully come out. Each time I could see the pink coming out in the lather! I haven’t used it again since. I’ve never had a problem with my hair (I’m brunette) but I did use one of their bath bombs a few months ago that stained my fingers pink for a couple of days! That’s awful I’m so sorry! I’m shocked they still haven’t done anything to prevent this from happening. Hopefully it’ll come out quickly!